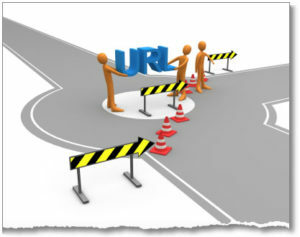 The only issue which strikes fear in the hearts of majority of the search engine optimizers is redirects. This doesn’t surprise you as there are so many good ways to redirect and the rules keep changing based on where they are applied and the various systems that are in place. If you’re wondering what a redirect is and how you should go about it, read on. Redirect – What is it? A redirect utilizes one of those several methods to forward from a particular URL to another and this process supports canonicalization of signals to the right page. One of the main considerations for redirects is forwarding users but as search engine optimizers, you have to be conscious about the signals that are being passed. Hence, it can be said that redirects are the only tool for combining signals like links and passing them from a page to another. Well, this is not a simple question as the way you redirect will depend on the technology that is in play and also your intention. Are you all set to redirect one page to another or you’re trying to redirect one domain to another? Are you redirecting multiple pages to one page or a folder to another? Indeed, there are many considerations you have to take into account when you’re going to put in the redirect. For all those SEOs who view redirects as to being restrained to that of a plugin, the reality is rather different. If you consider a simple domain change, where do you start? Does your plugin allow you to do this? Do you ditch that server or do you move the site to a server with a new domain? There are various consequential problems which pop up one after the other. DNS level: Check with your hosting company or CDN. The rules are usually different among companies but they’re well-documented and when you redirect at this level, it stands to be perfect for domain changes. Server level: This method changes and might have several ways of doing it depending on whether or not the server is Nginx, Apache or IIS. Language based redirects: You can also implement redirects using languages like JS, PHP, HTML, and Ruby on Rails. Therefore, if you were confused about the ways in which you can redirect, take into account the information given above.